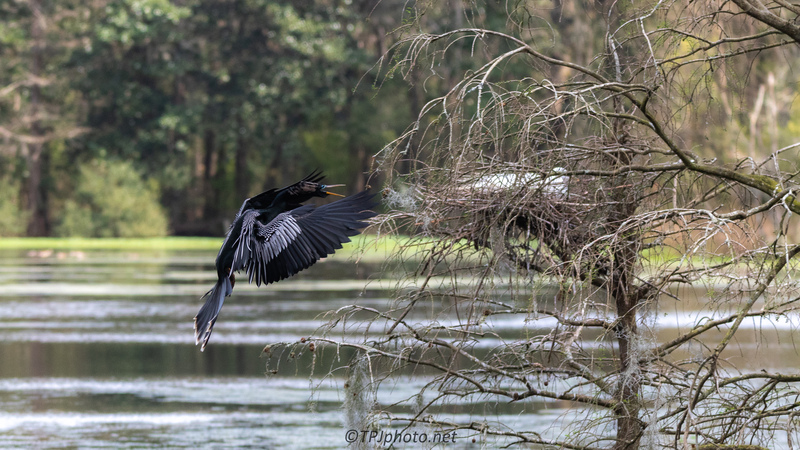 This Anhinga was in the process of building a nest, almost right on top of an Egret. I had been shooting the Egret but now I had a spot for both birds. 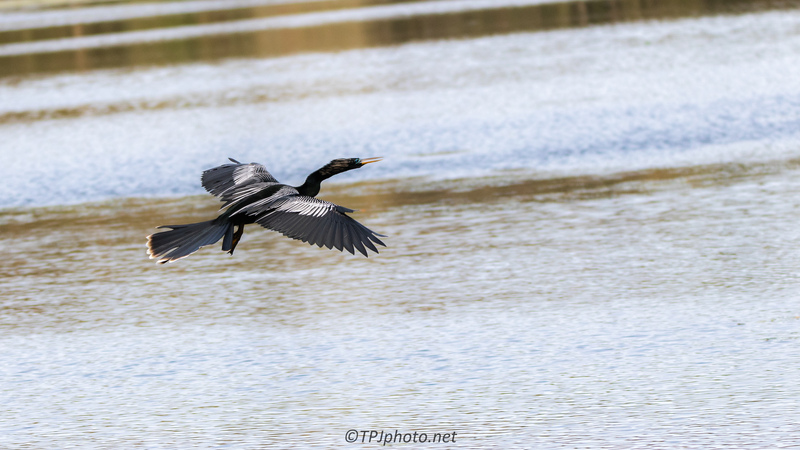 It is usually hard to catch Anhinga like this but I managed this series. I have mixed feelings on these birds. They are very good fishers, diving to catch them. They are also birds of opportunity for nest building. They prefer to steal, by any means, others nests. Not nice or pretty. However Egrets are not exactly loving animals either. It’s getting really crowded here. 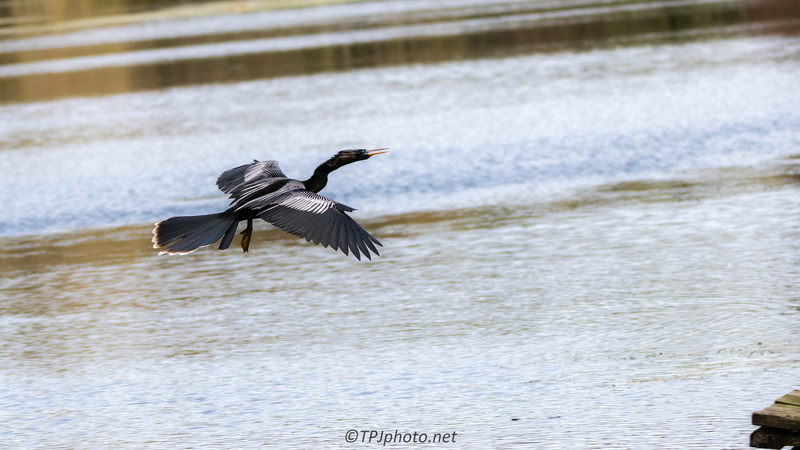 This Anhinga really seems to try to chase away the Egret from its nest. 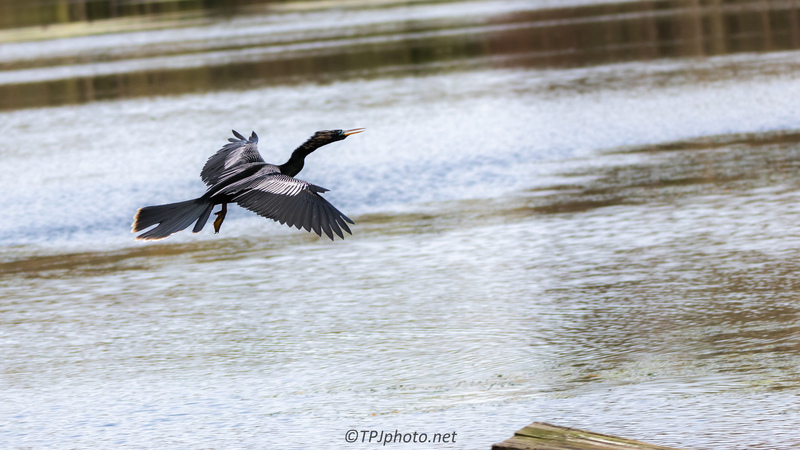 Beautiful how you documented the different phases of his flight towards the Egret’s nest. His beak wide open as he wants to say: back off you, get out, this nest is mine! We try to capture all the activity. 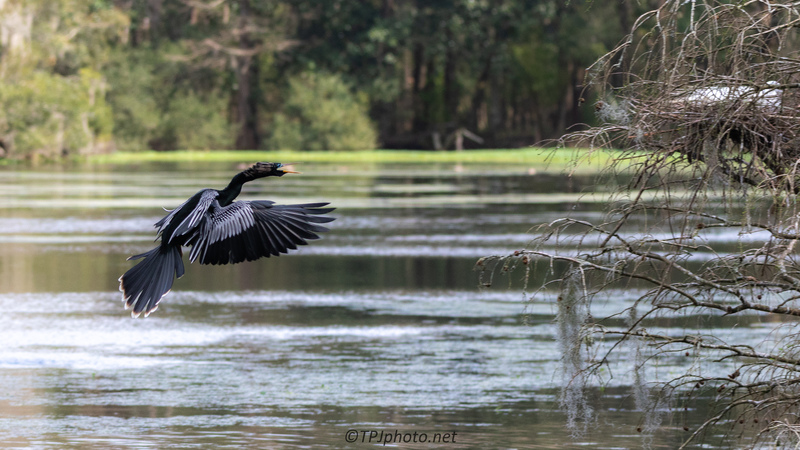 An Anhinga will attack all nests in a rookery. They are one of the most aggressive birds.